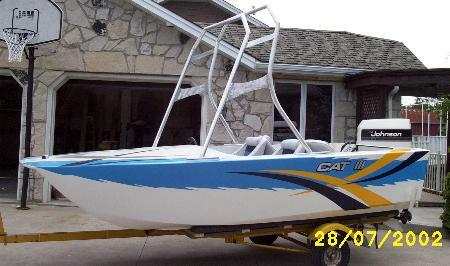 Jet Cat 14'/ Steve Johnson/ Ontario, Canada/ 07/09/2002. Well, I am finally done the project I started two years ago. It turned out way nicer than I thought it would, and all my expectations were exceeded. 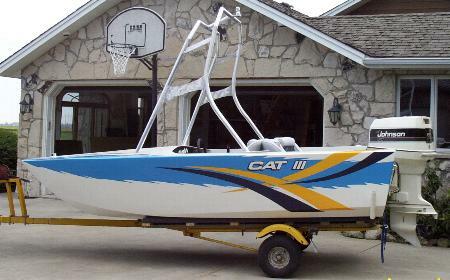 My boat, named "CAT III" is comparable to any new boat on the lake. 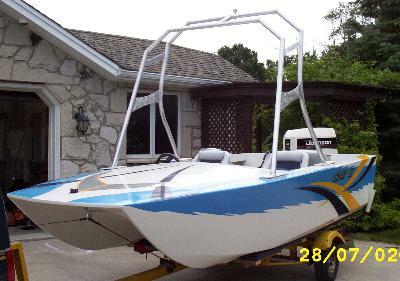 We have set her up for wakeboarding. I am sending along a couple of pictures of her. Im sure you will be quite pleased what you can do with one of your boats when you put a little imagination into it.